I am excited to have been chosen as a speaker for the Fall 2017 Chicago Suburb’s SharePoint / Cloud Saturday event! This year the event takes place on November 18th at DeVry University located at 3300 N. Campbell Ave., Chicago, IL 60618. Its been a few years since I spoke at the Chicago Suburb event and I am very excited to be a speaker in this event again. This year I will be focusing in on the “Cloud” side of the event. I will speak on machine learning using Azure Machine Learning. This session is going to be a no-code introduction to machine learning. If you are wondering what machine learning is or maybe you just don’t know how to start then show up to this session and get a gentle introduction. You do not need coding experience or an advanced degree in statistics for this session. Machine learning used to be the exclusive domain of mathematicians, statisticians and data scientists. Strange languages, crazy formulas, and an alien-like language made machine learning the realm of PhD’s in Statistic or Math. Azure Machine Learning has changed all of that. Azure ML is “machine learning as a service” and with it, Azure has brought machine learning to the masses. 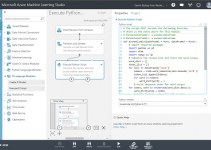 While machine learning can be very complex, with a little bit of knowledge, you can gain some valuable results and insights using AzureML with it’s web-based, drag-and-drop interface. In this sessions we will discuss some scenarios where Machine Learning may be used in your organization and the basics concepts of machine learning. We will use Azure Machine Learning to create a simple Azure Machine Learning experiment. 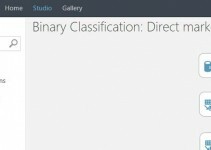 The goal of this topic is not to make you an expert in machine learning or AzureML, but to get you a solid, basic understanding of machine learning and the thought process to continue your own machine learning/Azure ML education. No coding required for this session. Anyone from developers to business users will get something out of this session.